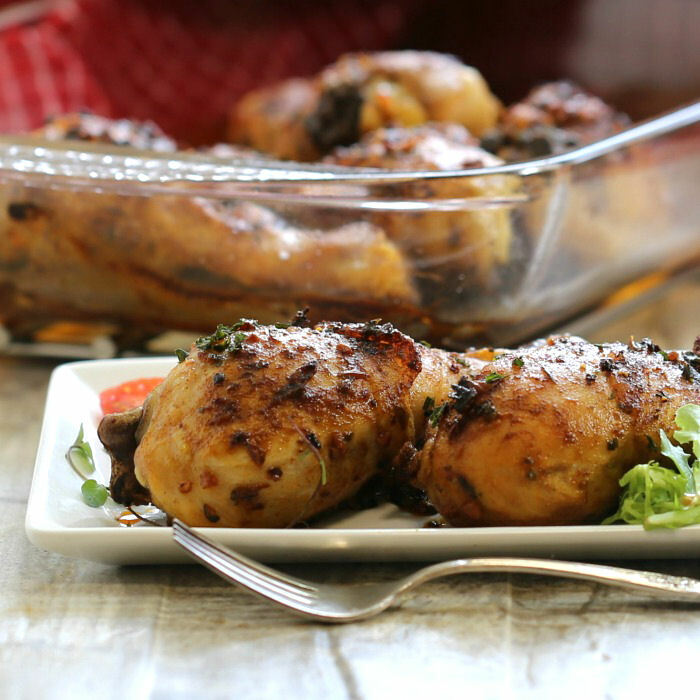 These baked chicken paprika drumsticks have a smokey taste and they are fork tender and spicy. The recipe is super easy to make and the fresh herb and spice rub takes just minutes to prepare. The recipe is a Whole30 recipe and fits into the Paleo diet, as well. My husband loves really spicy food and I enjoy just a hint of spice. Using a small amount of red pepper flakes and some Spanish smoked paprika gives us the best of both worlds. Smoked Spanish paprika comes in several varieties, from sweet to smoked to hot. I chose the smoked version, since I want to satisfy both my husband and myself, but if you enjoy really spicy foods, you can go for the hot variety. All work well in this recipe. 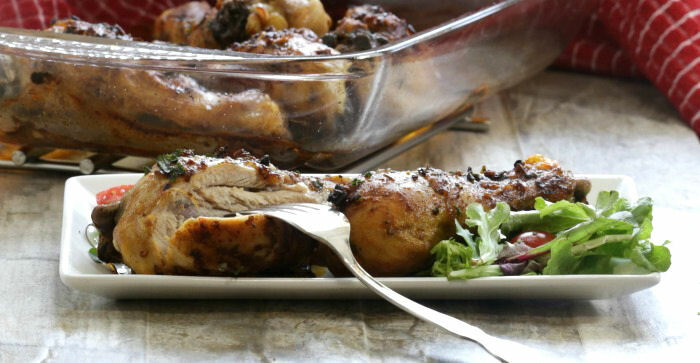 Using this aromatic recipe in the garlic paprika chicken adds smokiness without too much heat. I love the savory taste and my husband appreciates the bit of heat from the red pepper flake. 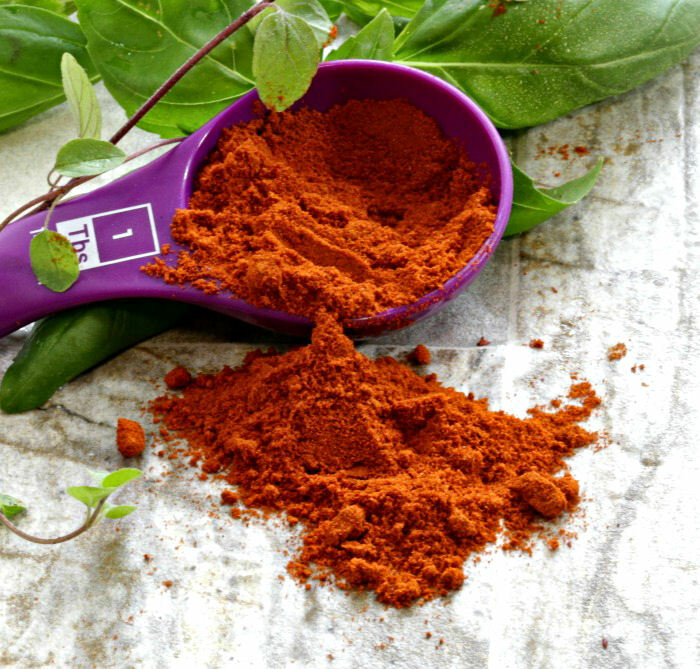 Not only does this smokey powder add a ton of flavor to your food, it is also rich in antioxidants and has many medical benefits. This easy Spanish paprika recipe starts with a lovely aromatic mixture of both fresh herbs and dried spices. 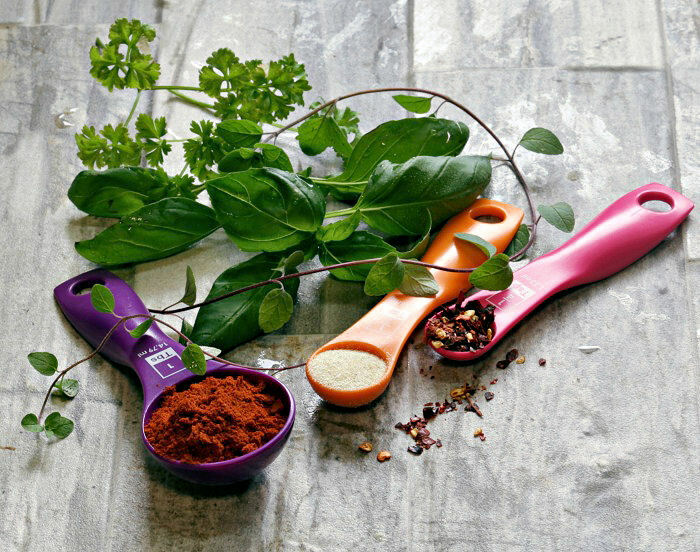 I love using fresh herbs for cooking. They add such a bright taste and are super easy to grow. Start by heating the olive oil in a saute pan over medium heat until it is nice and hot. Add the minced garlic, smoked paprika, onion powder, red pepper flakes and fresh herbs. Cook for about 1 minute being careful not to burn the garlic. 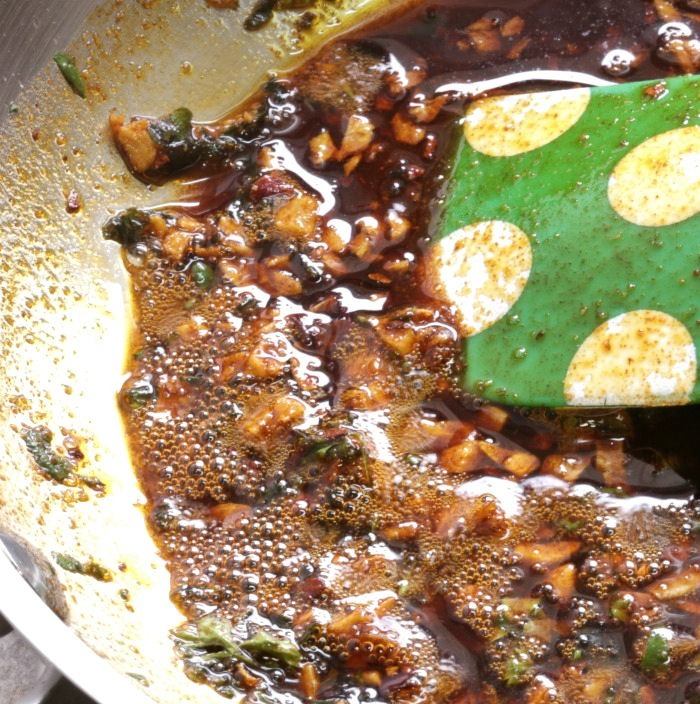 It will make a nice aromatic marinade for your chicken legs that smells amazing and will give them a wonderful color. Season the chicken drumsticks with sea salt and cracked black pepper and then pour the cooked olive oil mixture over the drumsticks, making sure they are well coated on all sides. What could be easier than that for preparation? 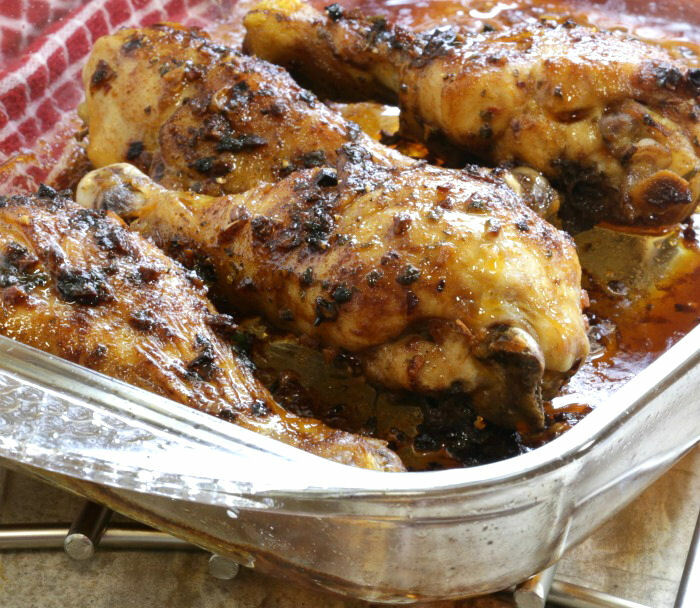 Place the drumsticks in an oven proof baking dish and bake for about 45 minutes or until chicken legs are cooked through and the internal temperature is 165 º F.
This chicken with paprika recipe gives you deliciously baked chicken drumsticks that are crispy and fork tender. The garlic and paprika rub adds a wonderful smoked flavor with just a hint of spice. The legs are really juicy! 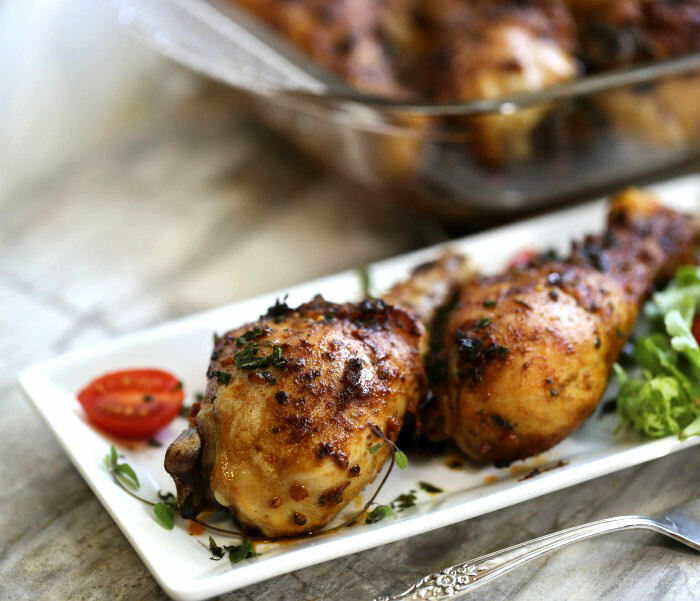 The drumsticks get a crispy skin thanks to the herby olive oil marinade that takes such a short time to prepare but adds so much flavor to the dish. Each drumstick has 179 calories and is high in protein and low in carbs. If you want even fewer calories, you can remove the skin before baking but the chicken won’t be quite as moist. 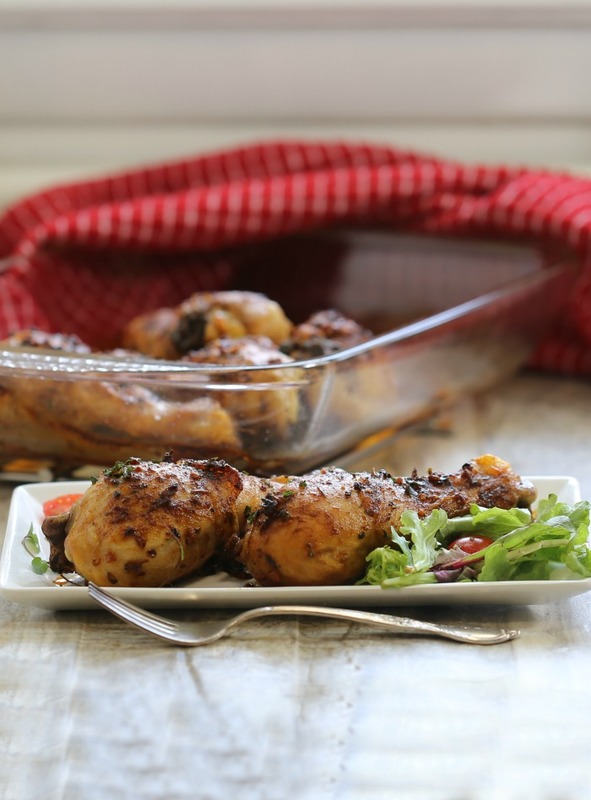 If you are looking to add some carbs, serve this baked chicken with paprika along side some fluffy mashed potatoes for a really decadent comfort food experience. 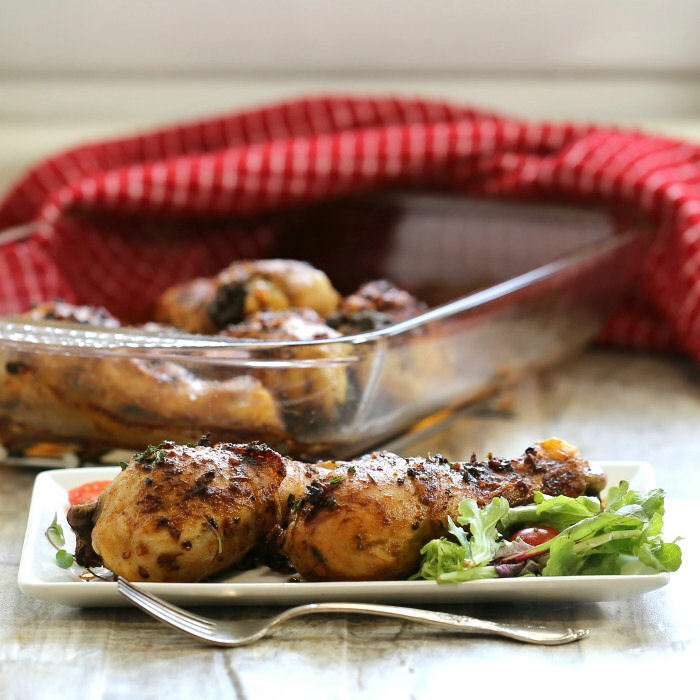 These paprika chicken drumsticks can be served as a main course with your favorite sides, (roasted vegetables go great with them!) or a party appetizer. They would make a wonderful addition to a Cinco de Mayo menu. 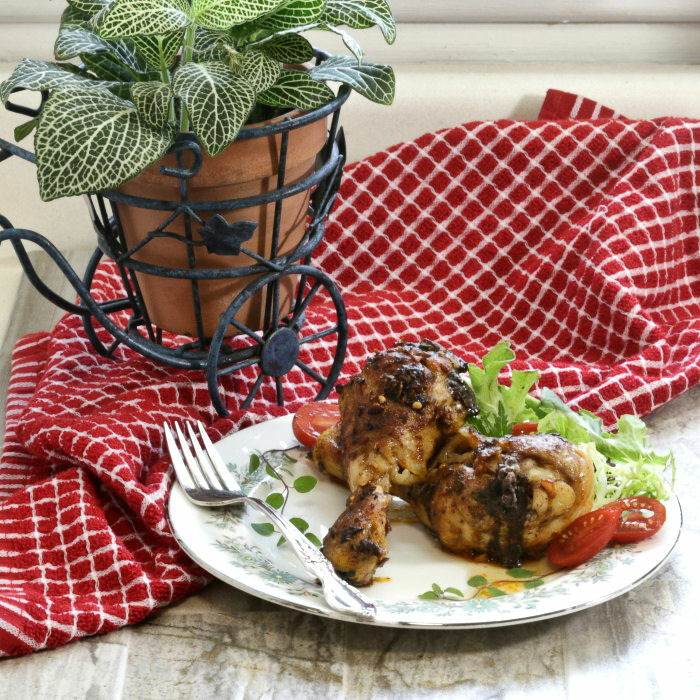 These fork tender chicken drumsticks have a spicy and smokey marinade made from Spanish paprika and fresh herbs. They are very easy to make and taste amazing. Preheat the oven to 425 º F .
Heat the olive oil in a saute pan over medium heat and add the garlic, smoked paprika, onion powder, red pepper flakes and fresh herbs. Cook for about 1 minute being careful not to burn the garlic. Season the chicken drumsticks with sea salt and cracked black pepper. Pour the cooked olive oil mixture over the drumsticks, making sure they are well coated on all sides. 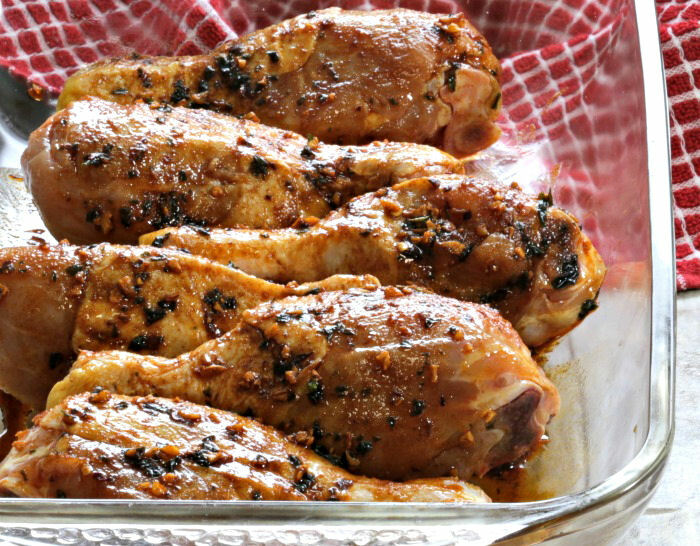 Place the drumsticks in a 9 x 11" oven proof baking dish and bake for about 45 minutes or until chicken legs are cooked through. Nutritional information is approximate and varies depending on ingredients used.